Home » Blog » Business Credit Card Or Merchant Cash Advance? Business Credit Card Or Merchant Cash Advance? Is a business credit card or merchant cash advance better for your small business? Both financial options will provide easy, quick access to capital for your business, with few restrictions in how the capital is used. Also, they are viable funding options if you or your business does not have a stellar credit history. However, this flexibility comes at a higher price than traditional financing such as a bank term loan. Since many small businesses, for a variety of factors, do not qualify for traditional financing, these two options may be your only alternative for quick capital. A business credit card is an unsecured loan and form of revolving credit. Similar to a personal credit card, your business can use as much or as little of the credit line (up to its limit). Once your business pays down the balance, it can be reused as long as the account remains open. If you do not pay back the outstanding balance at the end of each monthly billing cycle, there will be an interest expense charged. Normally this interest is between 14-17% APR (Annual Percentage Rate), which is lower than personal credit cards, but higher than traditional term loans. Most business credit cards allow for a “cash advance”, but at significantly higher interest rates, with other limitations. 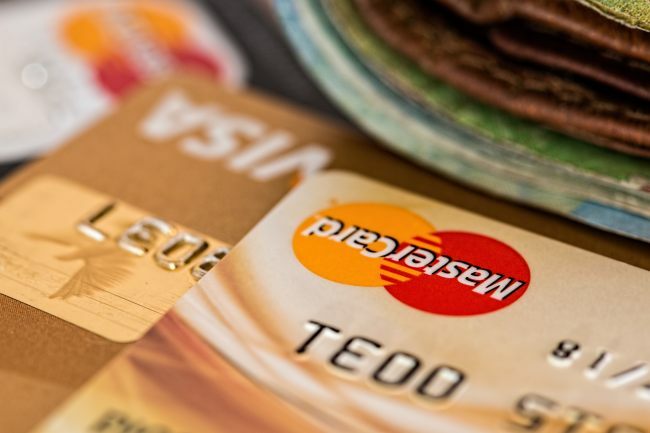 Depending upon the profile of the business, business credit cards offer introductory low interest rates, no signup fees, airline and hotel points and cash back rebate programs. These can be of particular value depending upon your type of business and personal life style. While a business credit card is unsecured (no asset pledged) the business owner normally is required to personally guarantee payment of the debt (no free ride here). 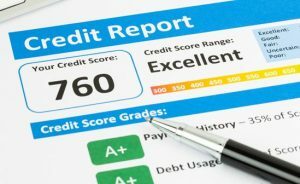 Also, depending upon the type of business credit card, its business activity will be reported to the major credit bureaus and will affect your personal credit history as the business owner. This may or may not be desirable for you to have your personal credit history affected. If your business pays its balances on time to avoid interest expenses, and does not “max out” the credit line balance, this is probably positive for your credit history. Otherwise, you will need to take this factor in consideration. Note also that simply applying for a business credit card will entail a “hard pull” credit check and reduction of 3-5 points on your personal credit history, for one to two years. Regardless, the use of the business credit card will be reported to the business credit bureaus. For a new business this can help establish you business’ credit history for future traditional financing options. A merchant cash advance (or business cash advance) is not a loan, such as a business credit card. With a merchant cash advance, your business is essentially borrowing money, receiving an advance sum of cash, in exchange for a portion of the business’ future credit or debit card sales. Your business’ future credit card receivables are considered as the asset being pledged to the financial lender to guarantee the cash advance. Merchant cash advances are repaid through a daily payment that the financial lender will intercept before your credit card revenues reach your business’ bank account. Your business will daily remit a pre-established percentage of the credit card sales, with a payment term of of short duration, normally 8-12 months. Because merchant cash advances are based almost exclusively upon future credit card sales, they are much easier for businesses with poor credit to qualify for. Merchant cash advances are one of the most expensive business funding options available. For the financial lender, this reflects several factors: a) weak or limited financial history of the business, b) rapid delivery of funds (days not months), c) short term of funding repayment, d) no physical asset pledged as collateral and e) incidence of borrower default and fraud. Although merchant cash advances are an expensive business funding option, they offer much-needed capital to businesses that might not be able to access it otherwise. Since a merchant cash advance is not a loan, its costs are not calculated based on APR but rather the factor rate or buy rate. Factor rates typically range between 1.1 – 1.4, and are multiplied by the cash advance amount to derive the borrower’s total repayment amount. Let’s use as an example a young business with limited credit history, that averages $10,000/monthly credit card sales and needs to borrow $10,000 for a period of 8 months to support a growth phase in its operations. In this example, a $10,000 loan with factor rate of 1.2, will cost $2,000 (10,000 x 1.2 – 10,000), meaning the total amount needed to repay the cash advance is $12,000. With a payment term length of 8 months (short-term financing) and daily credit card payment of 15% ($50/day), the borrowing cost is $2,000 or $0.20/$1.00. This example assumes that credit card daily sales are consistent and there are no administrative fees. The effective APR for this example would be 57%. Sounds high? Yes it is. But it is misleading since we are comparing apples and oranges, since a merchant cash advance is not a conventional loan where interest is calculated over the term of the loan. The effective APR gives an estimate of what your rate of borrowing would be if the merchant cash advance carried interest. The APR is as number can be used to help your understanding of your merchant cash advance by using a metric commonly provided when borrowing funds. Be aware that the APR shows the rate of borrowing, not the cost of borrowing. APR is time dependent, and merchant cash advances often have short term lengths, so a high APR indicates only that you are paying back money very quickly. For the example above, if the business took longer to repaid the cash advance, e.g. 12 months, the APR drops 38%. The APR does not tell you the true cost of financing. Business Credit Card Or Merchant Cash Advance – Which Is Right For Your Business? Both a business credit card or merchant cash advance are viable options for businesses that are unable to get approval for traditional financing. This would include businesses with little or poor credit history, or those that need rapid access to capital for cash flow reasons. A business credit card, if managed properly in terms of consistent on time payments (to avoid financing costs) should be considered whenever a small business can qualify. It will offer a variety of benefits as well as strengthening the business credit history to allow for future traditional financing options. A merchant cash advance, for those with high percentage of credit card sales, should be considered when higher amounts of capital are required on a short term basis. The flexibility of cash flow balancing is another benefit for those businesses with high sales seasonality. A business credit card or merchant cash advance are financing options that a business can use when other financing products are not available. The two business funding types are very different. The business credit card (unsecured term loan) is extremely affordable yet difficult to qualify for. A merchant cash advance is extremely accessible (if the business processes credit cards) yet difficult to afford. Each type is very different in form, but serve as a means of quick business capital, with higher costs than traditional financing.